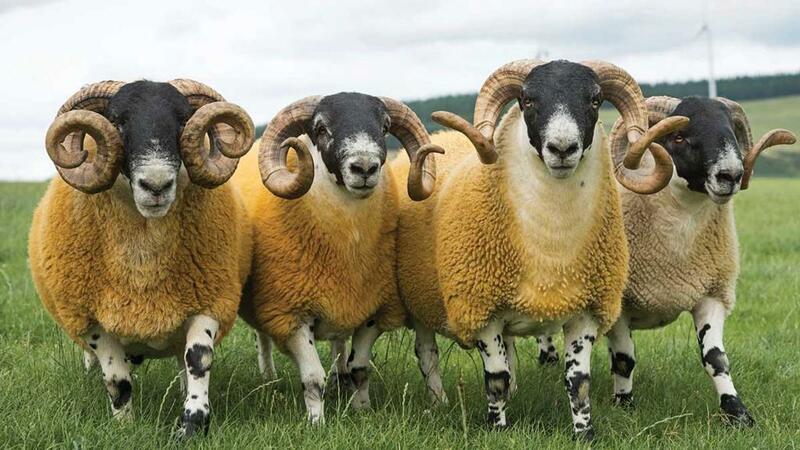 The North-type Blackface ewe has a lot to offer in terms of hardiness, and its crossing potential to produce the Scotch Mule. Ewan Pate visits two farms to find out more. Ewes typically have four crops of lambs, but the best breeders are kept for longer. Stephen Duncan and his father Stephen are among a number of Glen Livet-based enthusiasts for the North-type Blackface. The 364 hectares (900 acres) at Achdregnie, Tomnavoulin, seems to suit this hardy hill breed and there is a sense of tradition too. Stephen senior brought his stock with him when he, his wife Mariette and Stephen moved north from Balnaboth in Glen Prosen in 1998. All 700 ewes on the farm are Blackfaces, with 550 of the North-type and 150 South-type. Stephen junior says: "This area likes a large animal, whether it is cattle or sheep and the North Blackies suit it well. “Half the lambs go to Woodhead Brothers at Turriff for Morrisons. We try to take most of them to 44kg or just above to produce a 21kg carcase which suits the spec required by Morrisons. “A typical batch of 50 last year saw 45 grading E or U, with five at R grade. We mostly finish them off kale and turnips from December onwards, with hopper feeding for the later finishing lambs. The heavier lambs go through the live market. “The house sits at 1,060 feet above sea level and runs up to 1,400 feet, so hardiness is important." Ewe lambs not retained as replacements are sold for breeding, with 75 consigned to Thainstone annually and 50 gimmers sold privately. "We normally take four crops out of the ewes but we will keep the best breeders for longer. In the past we have sold four-crop ewes to lreland, where they have gone on to produce another five crops. The Blackface ewe can go away to most places and work well producing any type of cross lamb. They are tremendous mothers and very protective," says Stephen junior. Stephen senior adds: "ln the 1970s the wool was a big attraction in lreland as well as the ability to produce a 50kg lamb, but there is a big difference now. We far prefer a tight skinned sheep for grazing turnips." Last year 52 shearling rams were sold, nearly all through the ring to a top price of £11,000 for a North-type by a £4,400 Tom Adams tup. 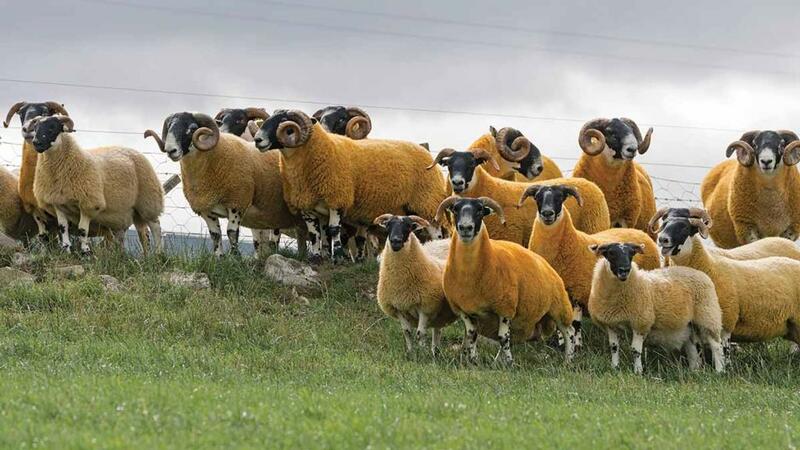 Another Achdregnie by a £5,000 home-bred ram fetched £10,500 at the same Stirling sale. The Duncans’ best prices came in 2006 when they sold a North-type shearling for £16,000. This was a price they were to match in 2016 with a South-type shearling. As with many Blackface breeders knowing the ewe stock is critical. Achdrergnie, Tomnavoulin, seems to suit the hardy hill breed. "We know them all and some lines just stick in your mind," says Stephen senior. The skill is all in matching the right ewes to the right tups and this is something both generations have obviously mastered. There is no place for embryo transfer or Al on their breeding programme. There have also been many show successes from the annual trips to Perth and Grantown. This year the Duncans collected the Blackface championship at Grantown with a shearling and the reserve championship at Perth with a ewe which took the same honour in 2017. One of her daughters took first prize in the gimmer class this year. "l like showing," says Stephen junior. "lt makes you try harder and see where you can improve your stock."